Having a website is something that most people can’t go without, especially in today’s hyper-competitive digital climate. That being said, what makes a great website? Although it can be difficult to pinpoint just one factor, there are several components that every excellent website is sure to have. The majority of business owners want to focus on doing what they do best, and that’s understandable. Unfortunately, to be successful in today’s world, a business can’t neglect the demands of digital marketing. An Omaha web design company can help you create an outstanding site so that you can expand your business. Here are a few things that excellent websites do, that you can take into consideration and discuss while in the website planning and design phase. The best websites are designed specifically to communicate a particular brand image and message throughout the entire site. Your website is a stand-in for you personally in terms of making a first impression on potential clients. That means your website has to convey a sense of who you are and what your business is all about and it has to convey that message consistently across the site. This is done through images, logos, colors and the content itself. The tone of your online content is the voice of your brand. Keeping it authentic and trustworthy is something an Omaha web design firm can assist you with. There’s no question about the fact that you could have the most sought-after product in the world, but if customers can’t navigate your website to find the product, you won’t make the sale. Responsive web design has to make the user experience a primary consideration. Potential customers should find it simple and even enjoyable to browse and navigate your site and learn more about your product or service. Oftentimes this is made even easier by using a WordPress template. Structuring logical and intuitive website navigation experiences is what Omaha web design companies specialize in. Ultimately the entire purpose of your website is to market your product or service and help build your client base. If the website isn’t able to move potential customers through what’s known as the conversion funnel, which is the pathway by which a site visitor is converted into a purchasing customer, then the site isn’t serving its ultimate purpose. Setting up a site that converts is a strategic endeavor that most people aren’t fully versed in or experienced with. That’s when the services of an Omaha web design company are especially helpful. 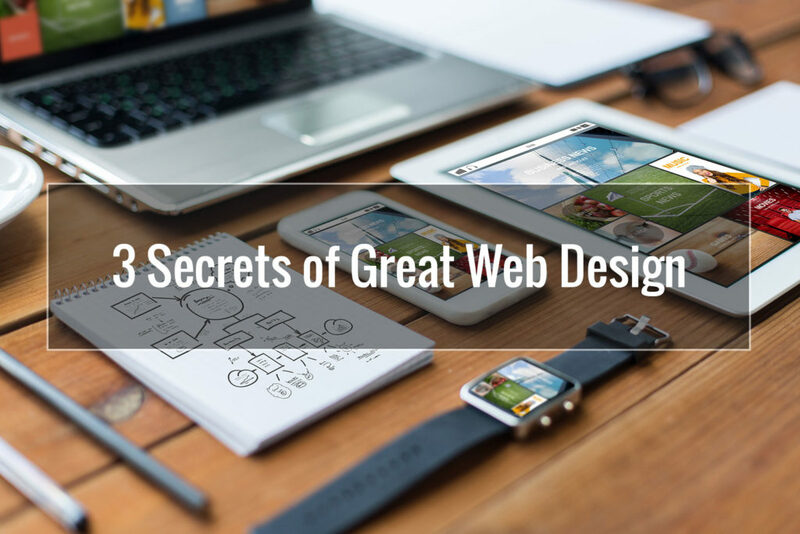 Having great web design doesn’t have to be intimidating when you know some of the key factors to keep in mind. Although you may not have the expertise to build your own site, you can turn to professionals who know how to take ordinary and make it extraordinary. Letting experts handle your site can be one of the best investments you’ll make in your business. By focusing on ease of navigation, a clear brand message and conversions, you’ll be well on your way to having a website that effectively drives traffic to your business.